The mistletoe is hung, and so are the garlands, ornaments, window decorations and lights. You’d be ready for the holidays, too, if you weren’t hung up on a gift for that one certain person. Now what? Now head to the nearest bookstore with this column in-hand, and look for one of these great books. 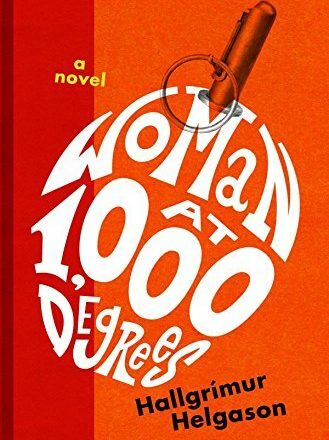 If your giftee a lover of memoirs, Woman at 1,000 Degrees by Hallgrímur Helgason is a novel she may like, too. It’s told in the voice of 80-year-old Herra Björnsson, who is at the end of her life and she’s in the mood to share. Wrap it up with The Clockmaker’s Daughter by Kate Morton, a novel of an archivist, a very old manor, and a bit of a mystery that transcends time. If it’s not too timely to be a good gift, look for Only Child by Rhiannon Navin. It’s a book about a school shooting and a mother’s actions when her son is injured in ways that can’t be bandaged. If you give The Witch Elm by Tana French to your suspense-novel lover, be prepared to be ignored for the rest of the day. Not on purpose, but because this is a story of an injured man, a decades-old mystery, and plenty of spine-tingles. For the historical fiction fan, look for A Well-Behaved Woman by Therese Anne Fowler. It’s a multi-generational tale of wealth and high-society (and the Vanderbilts), set in the years following the Civil War, and one woman’s desire – need? – to make it to the top of New York’s social scene. 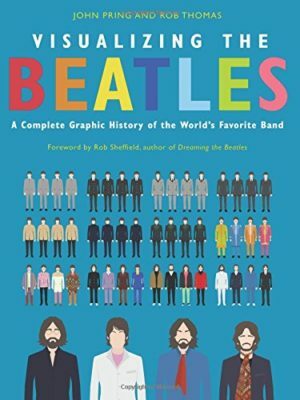 For the person who can’t get enough of John, Paul, George and Ringo, Visualizing the Beatles by John Pring and Rob Thomas is something they’ll want to hold in their hands. It’s a graphic history of the Fab Four, so lots of pictures, easy to browse, fun to have. Pair it with The Cutting Edge by Leslie Cavendish, who was the woman who cut and styled the Beatles’ hair. Yes, Earth is a pretty good place to live: oxygen, water, trees. But what is our presence doing to the planet? Darwin Comes to Town by Menno Schilthuizen is one of those books that’ll answer your giftee’s questions while it also invites him to think. How is our world thriving and surviving? Pair it up with The SIMPOL Solution by John Bunzl and Nick Duffell, a book about fixing the global problems we face today and our children could face tomorrow. For the fashionista, you can’t go wrong when you give Fierce: The History of Leopard Print by Jo Weldon. Yes, that’s what this book is about – the evolution of a wild fad that shows no signs of slowing down. You know what kind of paper to wrap this book in, don’t you? 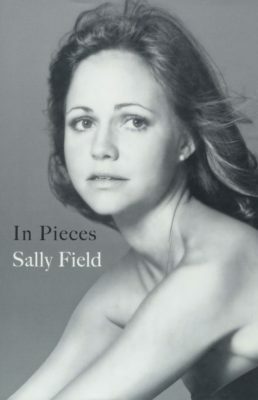 A highly-anticipated (and much-desired) gift to look for is In Pieces by Sally Field, a book by the girl America has grown up with. It’s filled with behind-the-story stories and celeb names you’ll also recognize. Wrap it up with a The Flying Nun DVD or a copy of Smokey and the Bandit. Might also want to think about Atticus Finch: The Biography by Joseph Crespino, a biography of Harper Lee and the first man in her life. If you’ve got someone on your gift list who’s a Kennedy watcher, they’ll love reading Eunice: The Kennedy Who Changed the World by Eileen McNamara. It’s, of course, about Eunice Kennedy Shriver, her life, and her times. For the person who asked for a genealogy test, wrap it up with She Has Her Mother’s Laugh by Carl Zimmer. It’s a book about heredity, genetics, and what you inherit from your family and your family’s family. Also look for Because I Come From a Crazy Family by Edward M. Hallowell, MD, a memoir about inherited afflictions, childhood, and the ways that even a beloved family can be a challenge. In the middle of World War II, when armed personnel were needed more than ever, the U.S. Army Air Forces finally allowed something that was long overdue: they let their 1,100 female pilots in the air. 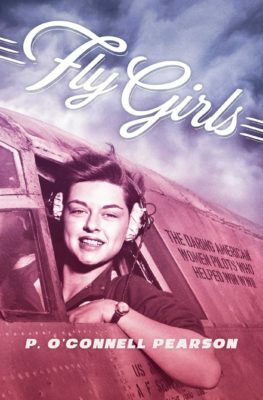 In Fly Girls by P. O’Connell Pearson, your giftee will read about the brave service of those women and how they did what they did – with less pay, harder duty and no military benefits. For the political watcher, there’s a lot to choose from this year. One of the neutral books you can give is Partner to Power by K. Ward Cummings. It’s a book about the people who have surrounded presidents, listened to them, and advised them on matters large and small. Here’s a book steeped in history, and it may be perfect for someone on your list: Our Year of War by Daniel P. Bolger. It’s history, but the unique thing is that it’s also a memoir about two brothers who end up in Vietnam together. One was a supporter of the war. His brother was not. It’s a book about bravery, differences of opinion, and brotherhood, both in war and at home. For another side of the coin, look for In Search of the Lost Chord by Danny Goldberg, a look at the Hippie Era, circa 1967. The cook who also loves history will enjoy Stirring the Pot with Benjamin Franklin: A Founding Father’s Culinary Adventures by Rae Katherine Eighmey. It’s a book that’s perfect if someone on your list likes American history, cooking, or reading while she eats. So there you are. A bunch of different ideas for people on your gift-giving list. Remember: if none of these suggestions seem to fit, ask your bookseller. He or she is the one who has all the right answers.